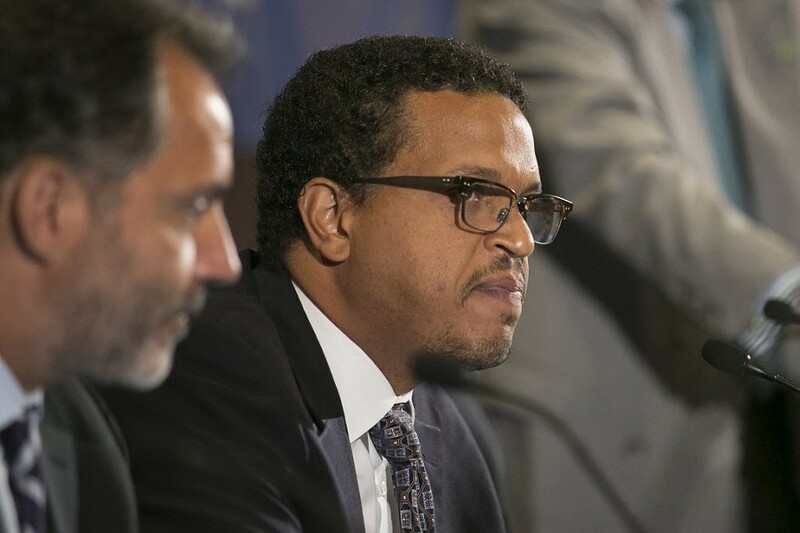 If you want to know why Mayor Emanuel picked this moment in time to punish Blaine Elementary School principal Troy LaRaviere, consider this: LaRaviere's running for president of the Chicago Principals and Administrators Association and the election's in a few weeks. The last thing the mayor wants is to give this outspoken, fearless school critic—who knows a thing or two about the system—an even bigger platform than he already has. So, along come the bureaucrats at Chicago Public Schools—doing Rahm's dirty deeds, as usual—with a "reassignment" order, effectively placing LaRaviere under house arrest. OK, technically it's not a house arrest. I mean, LaRaviere's free to go to a movie, visit a coffee shop, or join me for one of my walks along the lake. C'mon, Troy. We can sit on the rocks and listen to my old Prince CDs as we mourn the passing of one of R&B's greatest. Officially, LaRaviere's been "reassigned to home." But that's bureaucratese for beat it! This was a follow-up to the "warning resolution" the board gave him last summer for insubordination. This time around, CPS trumped up some unspecified accusation that supposedly warrants his removal. This is straight outta Kafka, Chicago. One way or another, LaRaviere's barred from visiting any schools. Which makes campaigning for the principal association gig a little difficult, to say the least. Just to get the message across, on Wednesday Mayor Emanuel sent a couple of big CPS security guards to prevent LaRaviere from having a meeting with other principals at southwest-side Stevenson Elementary School. 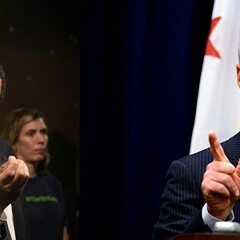 Mayor Rahm really doesn't want LaRaviere to win that election. If only Rahm had cared so much about defeating Bruce Rauner back in 2014. So why does the mayor have such a thing against LaRaviere? It's certainly not 'cause of the job he's done at Blaine. LaRaviere won the mayor's very own principal merit award not one, not two, but three years in a row. By the mayor's own standards that means LaRaviere should be getting a raise. No, it's because LaRaviere's willing to tell anyone who will listen that Rahm's turning CPS into a public trough for corporate America through various privatization deals. In 2014, LaRaviere criticized the $260 million janitorial contract that Emanuel's handpicked school board doled out to Aramark, and the $80 million one they awarded to SodexoMagic. 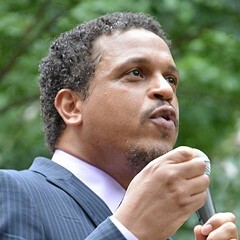 LaRaviere was right to critique those contracts, as the schools have been filthy since the deals went down. He also spoke out against the $20.5 million principal-consultation contract Rahm's board forked over to Supes Academy back in 2013. He said it was a waste of time and money. He was right about that too. In fact, LaRaviere was one of the few people who criticized the deal before the feds broke the news that Supes had given kickbacks to Barbara Byrd Bennett—Rahm's handpicked schools CEO. You know, it's a lot easier to find critics after the indictments have gone down. Imagine the problems LaRaviere could cause Rahm if he could rally Chicago's public school principals against these kinds of privatization deals. It would be like having two Karen Lewises in town. 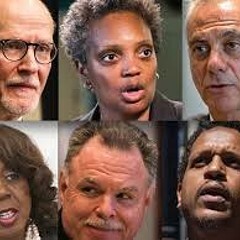 And you know Rahm can barely take one of her. If the mayor gets his way, this "reassignment" will scare enough principals into voting against LaRaviere. It certainly doesn't take much to intimidate voters in Chicago—as Emanuel demonstrated in his last election. But I think we can all agree this investigation into LaRaviere has nothing to do with protecting the interests of taxpayers or students. It's never been about them with Mayor Rahm. Why would he start now? The district did say LaRaviere is free to run for head of the principals' association. Why couldn't our public school watchdogs see what was staring them in the face?